If the word for TV and radio in the northeast in 2009 was "dreadful," the word for 2010 might be "forgettable." The year brought with it no really innovative format changes, no really massive format changes, no magnificent new broadcast facilities (except, perhaps, for one in Toronto we've yet to visit), nothing, in short, that's likely to garner much ink when and if the history books are written. Nobody will look back on 2010 as a good year for the broadcasting economy in the northeast. But there's reason to believe that someday, we might look back on 2010 as the beginning of a turnaround. While it's cold comfort for any of the good broadcasters who lost their jobs one by one in 2010, the pace of job cuts at least subsided significantly during the year. The massive layoffs of 2009 were largely unknown this past year, which made the handful of mass job cuts - Granite's at WKBW-TV Buffalo, Cox Radio's consolidation of its southern Connecticut operations, ESPN Radio's withdrawal from Pittsburgh - all the more disturbing. And while they were isolated and fairly rare, there were signs of hope and even growth in the business. With station values fully deflated from the early-2000s bubble, some individual broadcasters found opportunities to buy stations that would have been out of reach just a few years earlier. The former Route 81 stations in Pennsylvania and New York, poster children for the speculative boom years, passed from the investment firm that had repossessed them to local owners in Elmira and Scranton, for instance, while other small broadcasters quietly added to their holdings everywhere from Corry, PA (Joe Vilkie) to Olean, N.Y. (Jeff Andrulonis) to Randolph, Vermont (Bob Vinikoor). An especially contentious political year didn't hurt the bottom line, either, as the airwaves from Maine to Pennsylvania were blanketed with candidate ads and the even more lucrative ads from political action groups. There were even signs that the pervasive (and ultimately self-defeating) trend to cut costs by cutting out content and personality had finally crested and begun to recede: just ask "Slick Tom" Tiberi, the Buffalo jock who returned to his night shift at Citadel's WGRF (97 Rock), two years after he was replaced by automation, or Connecticut talker Jim Vicevich, who lost his mid-morning gig at WTIC (1080 Hartford) after being out for a while with health problems, only to come right back a few months later. As much as this column has celebrated local ownership over the years, there are times it just doesn't quite go right - and for that, there was no better example in 2010 than the sad tale of New Jersey's Atlantic Broadcasting. In 2008 and 2009, Atlantic looked like a success story in the making: a group of local broadcasters with fairly extensive experience in all facets of radio in south Jersey, including an experienced programmer and a talented engineer, came together to get financing for the $5 million purchase of Howard Green's former radio cluster in Atlantic City. At first, it seemed to be working out well: Atlantic's owner/operators made some smart moves, replacing a low-rated modern rock format with high-energy top-40 just in time for the busy summer season on the shore and significantly upgrading one of their FM signals to better reach Atlantic City. But the good times didn't last: staffers began turning over at an alarming rate, with stories emerging of pay scales that were shockingly low even by radio standards ($7500 a year for a morning team, for instance). And the rumors that began flying when one of Atlantic's owner/operators was removed from his management post exploded into the open in October, when prosecutors charged former Atlantic GM Brett Denafo with having stolen at least $175,000 from the stations by pocketing advertising revenue and using corporate credit cards for his own expenses. Denafo denied any wrongdoing, but lawsuits against the stations piled up (one, for instance, alleged that Denafo had promised an inexperienced young DJ an airshift in exchange for an investment of his parents' money in Atlantic), and so did the bills. By year's end, the stations were reduced to a skeleton staff, allegations of unpaid salaries were flying, and just before Christmas the group filed for bankruptcy, owing more than $6 million to Atlantic City's Sun Bank and hundreds of thousands more to a list of creditors that included Arbitron and other broadcast vendors. In a year without much in the way of format innovation, the big news in programming came from the spoken-word arena, where the talk and sports formats that had long been AM radio staples continued to migrate to the FM dial. On the heels of big FM sports-talk launches in Boston and Philadelphia in 2009, Pittsburgh joined the crowd with February's CBS Radio flip from top-40 "B93.7" WBZW to "93.7 The Fan," KDKA-FM - and by year's end, the new FM competitor had driven one of its AM rivals, ESPN's own WEAE (1250), out of the format. In Bangor, competition from WAEI-FM (97.1), even after that signal ditched its affiliation with Boston's WEEI network, drove Stephen King's venerable WZON out of the sports format on AM. The trend spread to smaller markets in 2010, too: Galaxy snagged the ESPN affiliation in Syracuse in March, launching a four-signal ESPN simulcast on two AMs (WTLA 1200/WSGO 1440) and two FM translators that eventually drove the market's oldest all-sports voice out of the format. In Scranton, Shamrock added an FM simulcast (on WQFM 100.1 Forest City) to the ESPN network it was running on a pair of AMs and FM translators. And even tiny Olean, N.Y. got its own all-sports FM via an HD subchannel/FM translator combination owned by Colonial Broadcasting. The year was surprisingly quiet when it came to sports rights-fees battles: the Red Sox and Phillies re-upped with longtime radio homes WEEI and WPHT, respectively, while the Yankees appeared poised to stick with WCBS in 2011 as well. It was a busy year for talk radio as well, thanks in no small part to one of the most bruising campaign seasons in recent memory. The migration of the talk format to FM continued slowly, but steadily: Citadel's March flip of "Lite 105.9" WLTI to talker WXTL didn't produce a huge ratings shakeup, but was evidently just enough pressure to push Clear Channel into an FM simulcast for its established talker WSYR at year's end. 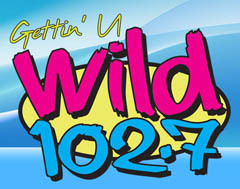 In Scranton, Bold Gold flipped its new FM acquisition, WLNP (94.3), from AC to talk as WTRW. In perhaps the biggest FM talk flip of the year, Clear Channel's WGY (810) in the Albany market lost one of its AM talk rivals, but surprisingly strong competition from the state politics-focused talk of another talk rival, WGDJ (1300), still helped to prompt the addition of an FM simulcast (WGY-FM 103.1, ex-WHRL) in September. Rochester-market WYSL (1040) added an in-town FM translator to help overcome its IBOC-induced nighttime signal woes, rebranding as "News Talk 92.1" in the process; translators also brought AM sports and talk to FM in small markets such as Ithaca and Fitchburg. Boston has never been one of Clear Channel's biggest markets. With only two FMs and two AMs in the cluster, it's a far cry from the dominant position the big broadcaster occupies in other big markets such as New York and Los Angeles. But there's one thing Clear Channel did have going for it at the start of 2010: through subsidiary Premiere Radio Networks, it controlled the syndication of most of the biggest names in talk radio, including Glenn Beck and the format's most dominant personality, Rush Limbaugh. By early 2010, NERW-land had already seen Clear Channel move Limbaugh to stations it owned - Pittsburgh's WPGB started the trend back in 2004 - but Boston was the first northeastern outpost for "Rush Radio," the company's low-budget approach that combines minimal local talk and news headlines with a national talk lineup including Beck, Limbaugh, Sean Hannity, Mark Levin and "Coast to Coast AM." The format and slogan were already in place on FM stations in North Carolina when Clear Channel brought them to Boston in March. With only two FMs in the market and neither in position to be flipped, Clear Channel instead looked to the Hub's AM dial, installing "Rush Radio" on the AM 1200 signal that it had rather expensively relocated from Framingham (as WKOX) to a rebuilt 50,000-watt transmitter site in Newton. Clear Channel moved the WXKS(AM) calls to 1200 from their longtime home on 1430 (where the WKOX calls ended up being parked), and it hoped that as Limbaugh fans followed the talk icon up the dial from his longtime home on Entercom talker WRKO (680), they'd stay put there for the rest of the talk lineup, which came to include former WRKO host Jeff Katz in mornings as well. The results at year's end were inconclusive at best: Limbaugh's star power had to struggle with an unfamiliar dial position and a signal that was still inferior to those of competitors WRKO and especially Greater Media's big FM talker, WTKK, yielding ratings that struggled to get out of fractional territory. As for WRKO, it struggled as well, installing political consultant Charley Manning in the former Rush timeslot and battling with an afternoon host, Howie Carr, who didn't want to be there and a morning co-host, Tom Finneran, who probably shouldn't have been there. Even so, the Boston talk race continued to look more like a two-way fight between WRKO and WTKK than the three-way war Clear Channel envisioned. With the expense of converting to digital TV transmission finally out of the way, 2010 was the year that many smaller TV markets began to see some local high-definition programming along with the network shows that had by now gone almost completely HD. Local news in HD had already become the norm in most larger markets, but 2010 brought the first HD newscasts to markets such as Bangor (WABI-TV) and Rochester (WHAM-TV); in other markets, additional stations joined the HD roster (WTNH New Haven, for instance). For viewers in other markets in the region, HD local programming remained a topic for the future: in markets as large as Harrisburg/Lancaster/York, Buffalo, Providence and Syracuse, the closest stations got to HD was the introduction of local news in widescreen standard-definition. And in many of the region's smallest markets, the local picture remained resolutely 4:3 standard-definition, and likely to stay that way for a while longer. Some of those stations hoped to finance an eventual upgrade to HD by obtaining more money from cable and satellite companies to retransmit their signals, but the result, at least for viewers, was mostly frustration: in market after market, viewers were bombarded by ads from stations asking them to call their cable providers and tell them to "keep WXXX on the air," while the cable providers shot back with "keep local TV free" ads of their own. Most of those disputes were resolved without taking cable screens dark, but Cablevision subscribers in the New York and Philadelphia markets weren't as lucky: a fight between Cablevision and WABC-TV early in the year didn't get resolved until a few minutes into ABC's Oscars telecast in March, and later in the fall Cablevision viewers missed out on several weeks of Fox programming from New York's WNYW and Philadelphia's WTXF. And Time Warner Cable customers in Utica and Vermont suddenly found their local Smith Media stations (WKTV and WVNY/WFFF, respectively) replaced by feeds of distant NBC, ABC and Fox signals as those companies battled to the end of the year, while another fight loomed between Time Warner and Sinclair, operator of Fox and MyNetwork stations in Pittsburgh, Buffalo, Syracuse and Rochester and Portland's CBS affiliate. In many ways, 2010 was a good year for public radio and television: even as news and local programming budgets continued to shrink in the commercial world, public broadcasters found ever-increasing audiences by beefing up their content. In Boston, new local radio talk shows launched at competitors WGBH and WBUR; a new "Local Journalism Initiative" funded a half-dozen news staffers across upstate New York covering the "Innovation Trail"; Susan Arbetter's "Capital Pressroom" brought enhanced Albany coverage to radio and TV across New York state; and the list goes on. But it was also a challenging year for stations trying to figure out how to support that programming in the long run. At the federal level, political calls to defund the Corporation for Public Broadcasting made little headway even as they made big headlines, but funding was less secure on the local and state levels for many stations. Pennsylvania and especially New Jersey threatened to remove most, if not all, of their state support for public broadcasting. In New Jersey, the fate of the state-run NJN radio and TV services remained unclear at year's end as lawmakers gave the network a temporary extension of state funding while considering proposals to transfer the operation to state colleges or to public broadcasters in neighboring markets. In other markets, colleges and universities sold off their public broadcasting interests - or tried to. On Long Island's East End, the local Peconic Public Broadcasting group spent much of the year struggling to raise just under a million dollars to buy WLIU (88.3) from Long Island University, finally assembling the finances near year's end. SUNY Buffalo's plans to transfer WBFO (88.7) to longtime rival WNED remained incomplete at the end of the year, and so did Duquesne University's plan to sell off WDUQ (90.5) in Pittsburgh, where the station's local management tried to put together a community nonprofit group to buy the signal. A few lucky broadcasters did manage to grow during the year: the nonprofit WFCR Foundation acquired two signals, WNNZ (640 Westfield) and WNNZ-FM (91.7 Deerfield) to add to the western Massachusetts reach of UMass-run WFCR-FM (88.5 Amherst). Vermont Public Radio, North Country Public Radio and Albany's WAMC all made incremental additions to their far-flung networks, and Rochester's WXXI (where your editor sometimes toils) built out WITH (90.1 Ithaca) to bring a new public radio service to that small city. One bright spot in the radio industry's generally gloomy picture in 2010 came from another corner of the noncommercial dial: the world of religious broadcasting, where growth among both evangelical Protestant and Catholic outlets was a constant story during the year. No religious broadcaster has grown faster on the national level in recent years than California-based EMF Broadcasting, which has aggressively expanded the footprint of its "K-Love" and "Air1" networks from coast to coast, and 2010 brought one of the biggest station purchases in EMF's history as the network positioned itself to enter the New York City market. It was no secret that Cox was looking to sell WCTZ (96.7 Port Chester NY) once the station was relocated from Stamford, Connecticut over the state line to Westchester County. At the height of the market a few years ago, that relocated signal, serving at least the northern half of New York City, would probably have sold for something close to nine figures - but with the collapse of station values and the drying up of available financing for buyers, the pool of potential purchasers had dwindled by the time EMF came along, and that made EMF's $15 million deal look pretty good for both sides. 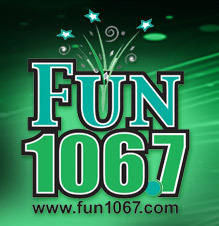 EMF won't take over operation of the station until the sale closes sometime early in 2011, but Cox wasted no time shuttering what was left of "96.7 the Coast," putting its AC format on automation and letting much of its Norwalk-based staff go as it consolidated its southern Connecticut operations up the coast in Milford. But EMF's entry into New York was hardly the only move the "K-Love" folks made during their very busy year. In northwestern Pennsylvania, EMF picked up WEXC (107.1 Greenville) and its two AM sisters from the estate of late owner Harold Glunt. In Utica, EMF shifted its flagship "K-Love" service to one of the biggest signals in town, swapping calls and formats between its existing "K-Love," class A WKVU (100.7), and the big class B signal on 107.3 that had been broadcasting "Air1" as WRCK. *While EMF may have been the largest religious broadcaster doing business in the region, it was hardly the only one. Bath-based Family Life Ministries kept expanding its Family Life Network, adding new signals in Unadilla, N.Y. and Laporte, Pennsylvania, LMA'ing WHPA (93.5) to enter the Altoona market and picking up WNAE-FM (102.7 Clarendon PA) from Iorio Broadcasting, along with a construction permit to move the station into the Erie area from a new city of license of Wattsburg. And the world of Catholic radio grew dramatically in 2010, most notably in Boston, where Alex Langer sold off WBIX (1060 Natick) to Buffalo-based Holy Family Communications at a discounted price ($1 million in cash, $500,000 as an in-kind gift), and in Pittsburgh, where St. Joseph Ministries signed on a three-station cluster headed up by WAOB-FM (106.7), the former WAMO-FM. Another Catholic signal came to 106.7 in the Portland market, where WXTP ("The Promise") was spun off from Nassau. And thanks to aggressive work by consulting engineers during the 2007 window for new noncommercial FM applications, Catholic signals were also granted in plenty of smaller markets around the region, with a few of them, such as WHVM 91.9 Owego, making it to air during 2010. On the fringes of the mainstream, 2010 was the year that Family Radio founder Harold Camping once again declared he had determined the date the world would end. Having done so once before in 1994, Camping this time took out ads on the back of New York City buses to proclaim that it would happen for real in May 2011 - and to promote his local outlet, WFME (94.7 Newark) in the meantime. But what worked tolerably well in 1997 made less sense in 2010, when Disney began to get out of the AM radio game in its smaller markets. A first round of station sales didn't include anything in NERW-land, but in late September Disney announced a second round of spinoffs that included Providence-market WDDZ (550 Pawtucket) and Hartford-market WDZK (1550 Bloomfield). Both stations went silent at the end of the day September 30, and both quickly found buyers to bring them back on the air in 2011: Salem in Rhode Island and Blount in Hartford. In Pittsburgh, Radio Disney actually ended up with a station upgrade at year's end, as Disney pulled the kiddie format off affiliate WWCS (540 Canonsburg) as a stopgap replacement for ESPN Radio on WEAE (1250 Pittsburgh) while seeking a buyer for that station as well. 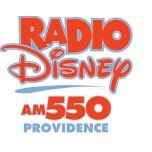 Will 2011 bring sales at any of Disney's other Radio Disney AM outlets in the region, in Albany, Boston or even Philadelphia and New York? If big-ticket station sales were largely unknown on the U.S. side of the border in 2010, they were in plentiful supply in Canada, where station consolidation continued at a pace reminiscent of U.S. broadcasting a decade ago. Bell Canada's parent company, BCE, bought back its majority interest in CTV for C$2.3 billion; on a smaller scale, Haliburton Broadcasting added more than half a dozen stations to its Ontario station group. But the most interesting deal of the year came from Quebec, where Corus decided to get out of the province after having invested tens of millions of dollars in station acquisitions over the last few years. The Toronto-based broadcaster, newly installed in a shiny new waterfront headquarters building on "Corus Quay," sold off a handful of its stations individually, but the bulk of its properties in Montreal, Quebec City, Sherbrooke and Trois-Rivieres went en masse to another big Quebec operator, cable TV giant Cogeco. It took several months for the CRTC to work through the competitive implications of the C$80 million deal, and in the end Cogeco had to agree to spin off an FM signal in Sherbrooke and two in Quebec City, as well as to establish a province-wide radio newsroom. And while Cogeco did get the CRTC's blessing to exceed the ownership caps in Montreal, where it will have three French-language FM signals, Corus' exit from Quebec came at the expense of even more market diversity in Montreal. That's because two of Corus' Montreal stations didn't even survive long enough to be included in the sale to Cogeco: at 7 PM on Friday, January 29, Corus abruptly took CINF (690) and CINW (940) off the air, saying in a statement that the stations were no longer able to support themselves. "We put tremendous effort into trying to find the right format and content to grow our audience base and operate profitably, but after years of effort it is clear these AM stations are not viable," said Corus Québec vice president Mario Cecchini. Within a few months, Corus would return the stations' licenses for cancellation, ending histories that went back to 1919 (as Marconi's XWA, Canada's first station) for CINW and 1946 for CINF. Not everyone agreed with Corus that the stations were economically unsustainable: descendants of the Tietolman family that founded CINF's predecessor, CKVL, asked the CRTC to deny the Corus-Cogeco deal and instead approve their own rival bid for the Corus stations, including the reactivation of the 690 and 940 facilities. But it was to no avail: in December, the CRTC approved the Cogeco purchase, reaffirming the demise of those Montreal frequencies while putting Cogeco in control of by far the largest remaining French-language AM in town, sports talker CKAC (730). Elsewhere in Canada, the demise of the AM dial continued apace: Corus quietly pulled the plug on CJUL (1220) in Cornwall, Ontario to focus on its FMs there, while CFGT (1270 Alma QC) moved to FM and the CBC's CBE (1550 Windsor ON) began its transition to the FM dial as well. On the flip side, the CBC's initial FM tests to relocate CBI (1140 Sydney NS) were unsuccessful, and in Ottawa, Rogers actually invested in its AM properties, staffing up CIWW (1310) as it flipped the oldies station to all-news. One more Canadian AM station went dark in 2010, but for different reasons. It was a very bad year for Pellpropco, the licensee of CHSC (1220 St. Catharines) in Canada's Niagara region. Owner Dominic Pellegrini had been in the CRTC's crosshairs almost since taking over the station, and in 2010 the agency finally lost its patience with CHSC's continued flouting of its rules. Not only was the station broadcasting in Italian when it should have been operating in English, the CRTC alleged - but it had also moved its entire studio and office operation from St. Catharines to the Toronto suburb of Woodbridge without permission. After repeated short-term renewals and extensions, the CRTC finally decided it had had enough: in July, it told Pellpropco that the CHSC license would not be renewed, ordering the station off the air at the close of business August 31. The morning of September 1 dawned with CHSC still on the air as Pellpropco appealed the CRTC's ruling to a Canadian court, but it was unable to hold off the inevitable: after losing the appeal, CHSC quietly left the airwaves sometime on the night of September 30. It was a lousy year to be a seller, as station values cratered. (Unless you happened to have a translator to sell, in which case values were sharply up.) It was a lousy year to be a buyer, unless you were one of the few who happened to have cash on hand, in which case it was actually a pretty good year to be a buyer. And it was a lousy year to be a station broker, period. JANUARY: Just a few station sales made the news in the first month of 2010, as Schenectady doctor Thomas Kuettel agreed to pay Albany Broadcasting $175,000 for WIZR (930 Johnstown), which he brought back to the air later in the year, whle Horizon Christian Fellowship added to its Massachusetts holdings by paying Calvary Chapel of Costa Mesa $200,000 for WFGL (960 Fitchburg) and WJWT (91.7 Gardner). The month's biggest deal is also in the Bay State, where Antonio Gois pays J Sports $1.8 million for WAMG (890 Dedham)/WLLH (1400 Lowell), a big drop from the $9 million J Sports had paid for the stations five years earlier. FEBRUARY: The WallerSutton investment group begins winding down its investment in the former Route 81 Radio group, now operating as "WS2K Radio LLC," selling WLNP (94.3), WNAK (730) and WCDL (1440) in the Wilkes-Barre/Scranton market to Bold Gold, which pays just $500,000 for the three stations - barely more than the $475,000 that Route 81 paid for WNAK alone back in 2003. (WCDL and what became WLNP came as part of a $2.5 million purchase from Citadel that also included WAZL in Hazleton and WHYL in Carlisle.) Bold Gold will then spin WNAK to another local broadcaster, GEOS, for $128,659. In upstate New York, Northeast Gospel Network sells translator W292CN (106.3 Herkimer) to Ken Roser for $30,000; he'll move it to Utica and 95.5 to relay his WUTQ (1550). Down the road just a bit, Michael Celenza sells unbuilt WKAJ (1120 Little Falls) to John Teseiro's Cranesville Block Company for $11,000. MARCH: Vox Radio splits up a long-united pair of central Vermont signals, spinning WCVR (102.1 Randolph) to Vermont Public Radio for $435,000 and WTSJ (1320 Randolph) to Bob Vinikoor's Koor Communications for just $70,000. On Long Island, Multicultural Radio Broadcasting inks a $150,000 deal to sell WNYG (1440 Babylon) to Radio Cantico Nuevo, which had been leasing the station's airtime - but which would have to move the station out to eastern Suffolk County to get it out of the way of Multicultural's WNSW (1430) as that station upgraded. And in Maine, Calvary Chapel of Costa Mesa sold WJCX (99.5 Pittsfield) to Calvary Chapel of Bangor for $200,000. APRIL: The biggest radio deal of the month - and one of the biggest of the year - came from north of the border, where Cogeco agreed to pay C$80 million for Corus' radio stations in Quebec; it would take until year's end for the CRTC to approve the sale, albeit with strict conditions that Cogeco spin off stations in Quebec City and Sherbrooke that would have exceeded ownership caps. The Corus/Cogeco deal is soon dwarfed by an even bigger TV deal, as Shaw Communications (Corus' former parent company) agrees to pay C$2 billion for Canwest Global Communications, including the Global TV network. WallerSutton sold off the last of its WS2K radio assets with a $1,425,000 deal to transfer its Elmira/Corning radio group, three AMs and three FMs, to Vision Communications; those stations cost Route 81 $4.5 million when it bought them in 2003. In Massachusetts, Horizon Christian Fellowship paid California's Living Proof $150,000 for an unbuilt construction permit in Lunenburg. MAY: Another slow month for sales; north of the border, Haliburton Broadcasting kicked off an acquisition spree with a C$125,000 deal to buy CJJM (99.3 Espanola) from JOCO Communications; in the Mohawk Valley, Doug Stephan sells WSDE (1190 Cobleskill) to Ed and Alla Horak's Schoharie Broadcasting for $132,800; they'd been leasing the station for several years. And in a year with few TV deals, Buffalo broadcasting vets Phil Arno and Don Angelo put together a $2.75 million deal to buy WNGS (Channel 67) from religious broadcaster Daystar. JUNE: CTV adds to its Toronto radio holdings with the proposed C$27 million purchase of Milestone's Flow 93.5 (CFXJ), while it applies to sell CHST (102.3 London) to Rogers for C$16 million. South of the border, WCIN (91.3 Tunkhannock PA) passes from Telikoja Educational Broadcasting to Family Life Ministries; in Maine, Decelles-Smith Media inks a $220,000 deal to sell WEGP (1390 Presque Isle) to Northern Maine Broadcasting. JULY: Alex Langer sells WBIX (1060 Natick-Boston) to Catholic broadcaster Holy Family Communications; the $1.5 million deal includes a $1 million cash payment and a $500,000 in-kind donation. Another religious broadcaster from western New York, Family Life Ministries, picks up WNAE-FM (102.7 Clarendon PA) from Iorio Broadcasting for $400,000, with plans to move it to Wattsburg, near Erie. Also in Pennsylvania, Schlesinger Communications picks up WBPZ and WSNU in Lock Haven from longtime owner Lipez Communications for $700,000, while the estate of the late Larry Schrecongost sells WTYM (1380 Kittanning) to Family-Life Media-Com for $150,000. In western Massachusetts, Amherst's WFCR (88.5) expands its reach by converting its LMA of Clear Channel's WNNZ (640 Westfield) to a $525,000 purchase, followed up by a $10,000 purchase of WGAJ (91.7) from Deerfield Academy, both under the aegis of the WFCR Foundation rather than WFCR licensee UMass itself. And in Canada, Durham Radio offers Anthony Schliefer C$265,000 for CFWC (93.9 Brantford), contigent on CRTC approval to flip the low-powered religious outlet to classic rock. AUGUST: In the Ithaca market, Pembrook Pines sells WPIE (1160 Trumansburg) to Todd and Tina Mallinson's Taughannock Media for $150,000; they'd been managing the station for Pembrook Pines for a while. SEPTEMBER: EMF Broadcasting, one of the few national groups actively buying stations in 2010, adds to its northwestern Pennsylvania holdings with the $225,000 purchase of WEXC/WGRP Greenville and WLOA Farrell from the estate of the late Harold Glunt. In upstate New York, Leatherstocking Media adds a third "CNY Talk Radio" signal with the $150,000 purchase of WUTI (1150 Utica) from Digital Radio Broadcasting. And Haliburton keeps buying in Ontario: CFSF (99.3 Sturgeon Falls) and Raedio, Inc's CHGK/CJCS Stratford were the latest announced acquisitions there. OCTOBER: Long Island's JVC Broadcasting solidifies its position on the East End with one of the year's few seven-figure deals, agreeing to pay Barnstable $3 million for WRCN (103.9 Riverhead) and WKJI (96.1 Center Moriches). In the Altoona market, Frank Iorio's Radio Partners LLC will pay the late Larry Schrecongost's Vernal Enterprises $610,000 for WHPA (93.5 Gallitzin), which plays classic hits as "93.5 the Heart." And outside Philadelphia, an unusual three-way deal finds silent WPAZ (1370 Pottstown) going from Great Scott to Four Rivers Community Broadcasting, which will then finance a purchase by the a new community group, the WPAZ Preservation Association. NOVEMBER: Cox notches the only eight-figure sale on the U.S. side of the region, agreeing to sell New York City move-in WCTZ (96.7) to EMF Broadcasting for $15 million. The year's only TV station sale in the region shifts Pittsburgh's WQEX (Channel 16) from public broadcaster WQED to ion Media, for $3 million. In upstate New York, Russ Kimble sells WFLK (101.7 Geneva) to Finger Lakes Radio, owned in part by his brother George, for $450,000; in Elmira, Holy Family Communications pays $1000 for the construction permit of WMTQ (88.1), held by the Dominican Monastery of Mary the Queen. And in New England, Disney unloads two silent AMs: WDDZ (550 Pawtucket RI) to Salem for $550,000 and WDZK (1550 Bloomfield CT) to Blount Communications for $500,000, which comes out even with a $500,000 sale of its WNEB (1230 Worcester MA) to Emmanuel Communications. DECEMBER: Haliburton makes two more acquisitions to close out the year, entering the Niagara region to buy CFLZ (105.1) and CKEY (101.1). In Pittsburgh, Alex Langer tries again to sell WPYT (660 Wilkinsburg); an earlier sale to veteran broadcaster Eddie Edwards fell through due to Edwards' health problems, but another veteran broadcaster, Tim Martz, agrees to pay $290,000 for the AM daytimer, which he'll pair with an FM translator. Speaking of translators, Dennis Jackson sells W291CC (106.1) to Port Broadcasting, which is expected to move it south from Sanford, Maine to pair with its WNBP (1450) in Newburyport, Massachusetts. And on TV, radio broker Eliot Evers and Horseshoe Curve Communications agree to pay $100 in cash and assume much more in debt to take over Peak Media Holdings, which owns WWCP (Channel 8) in Johnstown and operates WATM (Channel 23) in Altoona. JANUARY: One of the year's first format changes comes in the Danbury, Connecticut market, where Cumulus shifts WDBY (105.5 Patterson NY) to country as "Kicks 105.5." In New York City, it's the end of the brief run for "Party 87.7," as a dispute over the cost of the lease of WNYZ-LP (Channel 6) from its owner leads JVC Broadcasting to pull its dance format off the "Franken-FM" signal after just a few months on the air. Back upstate, WSFW (1110 Seneca Falls) drops traveler-information radio for Calvary Satellite Network's religion, as CSN swaps a Geneva translator license for the Seneca Falls AM daytimer. In Maine, Saga's WBAE (1490 Portland)/WVAE (1400 Biddeford) temper their "hot talk" for a new "Advice for Life" format, while Blueberry Broadcasting replaces the WEEI network with Fox Sports at WAEI (97.1/910). Post-Christmas flips in Pennsylvania include a shift to Clear Channel's in-house oldies format at both WLAN (1390 Lancaster PA, ex-standards) and WRAW (1340 Reading PA, ex-True Oldies Channel); a frequency change in Waynesburg, where Bob Stevens' WANB moves from 1580 to 1210 with a daytime power jump to 5000 watts; and a personnel move, as Doc Medek moves from mornings at Scranton's "Froggy" WGGY to Philadelphia's WXTU. In New Jersey, WJRZ (100.1 Manahawkin) emerges from Christmas music as AC "Magic 100.1," flipping from classic hits, while WEZW (93.1 Wildwood Crest) eases into a soft AC format as "Easy 93.1." North of the border, Corus flips "EZ Rock" CJEZ (97.3) to classic hits "Boom" CHBM in Toronto after Christmas; a few weeks later, Rogers makes deep cuts to its news operation at CITY-TV, cancelling several newscasts and dismissing some veteran staffers, including longtime news anchor Anne Mroczkowski. People on the move: Bob Gale is out after 35 years at what's now WFYY (106.5) in central Pennsylvania; in Waterbury, Connecticut, Ed Flynn retires after 18 years of talk at WATR (1320); in Boston, it's the end of the lne for WFNX morning hosts Charlie Padgett and "Special Ed" Oliveira and the start of two new daily talk shows on WGBH hosted by Callie Crossley and Ellen Rooney. New York gets two new morning shows, as Curtis Sliwa resurfaces at Salem's WNYM (970 the Apple) and Nick Cannon breaks into radio at "Now" WXRK (92.3). In Montreal, 25-year veteran Ted Bird retires from CHOM (97.7), saying his creativity was being stifled by management there; he'll later resurface doing mornings at tribally-owned CKRK (103.7) south of the city. Gone for good: On January 29, Corus abruptly pulls the plug on 50,000-watters CINF (Info 690) and CINW (940), eventually returning the licenses to the CRTC to be cancelled; CINW is the descendant of Canada's first radio station, XWA/CFCF/CIQC. 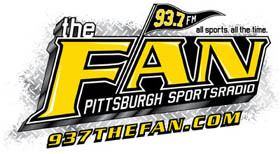 FEBRUARY: Talk and sports on FM are the hot format moves this month, especially in Pittsburgh, where CBS Radio shakes things up with the February 15 launch of "The Fan" on KDKA-FM (93.7), killing off the station's second incarnation of top-40 "B93.7." It's talk for FM 94.3 in Scranton, too, as WLNP (94.3 Carbondale) relaunches as WTRW, "the Talker." Syracuse gets its first FM talker of the year courtesy of Citadel, which flips WLTI (105.9) to talk as WXTL. Down the Thruway, one AM talker succumbs, as Albany Broadcasting pulls the plug on talk at WROW (590) February 8, setting up a two-way talk fight between WGY (810) and WGDJ (1300) as it shifts adult standards "Magic" to 590 and relaunches Magic's former home, WKLI 100.9, as adult hits "The Bridge" on Feb. 24. Another Albany format shift two days later brings the end to "The Edge" and the launch of "Cat" country at WZMR (104.9 Altamont). In other format and call changes, WGSM (107.1 Greensburg PA) picks up the historic WHJB calls that long resided on its former AM sister station. WHUN (1150 Huntingdon PA) breaks off its simulcast with WRSC (1390 State College) to go classic country as WLLI and Citadel flips WNSS (1260 Syracuse) to WSKO as it prepares to lose ESPN and pick up Sporting News Radio, while in the Hudson Valley Radio Disney gives way to True Oldies Channel at WEOK (1390 Poughkeepsie) and WALL (1340 Middletown). People in the news: Diane Pryor is out after 14 years on middays at New York's WKTU (103.5); Tommy Jordan's gone after 15 years in mornings at Trenton's WPST (94.5); in Toronto, Bill Carroll departs CFRB (1010 Toronto) to head for KFI in Los Angeles, with Jerry Agar inbound from Chicago's WGN to replace him. 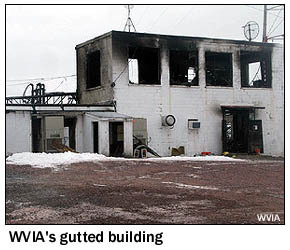 And fires make news, too: first at Ottawa's CJOH-TV, where a blaze tears through the CTV station's Nepean studio/office building just as it prepares to mark veteran anchor Max Keeping's retirement after 37 years, and then at the Penobscot Mountain transmitter site of Scranton public broadcaster WVIA-TV/FM, gutting the building and destroying its transmitting equipment. In Ottawa, CJOH moves downtown to the "MediaMall" facility of sister station CHRO, apparently for good; in Scranton, WVIA's neighbor WNEP helps get a digital TV signal back on the air while engineers launch into a high-speed rebuilding that will have the station back to normal by fall. The weather batters WFEA/WZID/WMLL in Manchester, N.H., too, where a storm rips the roof off their downtown studio building, flooding the place. New to the air: Seneca Nation commercial outlet WGWE (105.9 Little Valley NY) on Feb. 1. Gone: WHHO (1320 Hornell NY), Feb. 4. 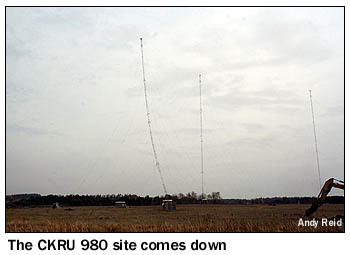 MARCH: Clear Channel stakes out a corner of the Boston talk market with the March 8 launch of "Rush Radio" on the new 50 kW signal of WKOX (1200 Newton); initially with a double run of Limbaugh in morning drive and his live noon slot, then later with Jeff Katz in mornings. Sports and talk keep shifting in Syracuse, too, as Galaxy unveils "ESPN Radio 97.7 and 100.1" March 5 on WTLA (1200)/WSGO (1440) and their new FM translators; two weeks later, Citadel launches FM talk, replacing "Lite" WLTI (105.9) with the new WXTL. Fierce coastal storms rip through Connecticut and Rhode Island, ripping off the studio roof at Bridgeport's WICC/WEBE and knocking Pawtucket's WDDZ (550) and Warwick's WLKW (1450) off the air as floodwaters inundate their low-lying transmitter sites. In northern New Jersey, WGHT (1500 Pompton Lakes) takes on 13 feet of water, inundating the lower two floors of its building but leaving the studios and transmitter on the top floor high and dry - and reachable only by fire boat. North of the border, veteran CBC "Metro Morning" host Andy Barrie retires, replaced by Matt Galloway. 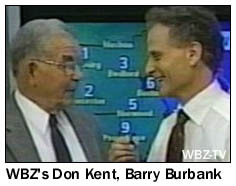 Barrie's retirement, at least, is voluntary, as is that of WCVB "Chronicle" host Mary Richardson; meanwhile, the never-ending job-cut machine claims veteran Z100 morning sidekick John Bell and overnight talker Joey Reynolds in New York, talker Jim Vicevich in Connecticut at WTIC, chief meteorologist Ken Barlow at Boston's WBZ-TV and Cape Cod's Suzanne Tonaire at WPXC. More format changes: in Vermont, rocker WLFE (102.3) reimages as WIER, "the Wire"; in New York's North Country, WGIX (95.3 Gouverneur) ditches oldies for country as WLFK, "the Wolf"; Buffalo's WJYE (96.1) reclaims its old "Joy 96" nickname; on Long Island, WLVG (96.1) flips to a simulcast of Nassau County AC WKJY (K-JOY 98.3), changing calls to WKJI. Back on the air: WIZR (930 Johnstown NY), with classic country and - yes! - Red Sox games under new ownership. Gone: WZUM (1590 Carnegie PA), apparently for good, though its fate won't be determined until later in the year. Also gone: the two towers of WRCA (1330 Waltham), removed from their home in an office-park parking lot after the station relocated to the WUNR site in Newton, as well as the "Concrete Donut" studios at City Line and Monument that were long home to Philadelphia's WFIL-TV/WPVI (Channel 6) and WFIL radio, razed and replaced by new TV studios next door. In New York, Joe Scarborough loses his mid-morning WABC radio airshift in a "temporary retooling" that ends up looking permanent, Nik Carter departs struggling Emmis rocker WRXP, and former WLTW morning host Valerie Smaldone returns via streaming at WOR710.com. "Corm and the Coach" depart WNMR (107.1) in the Burlington market, complaining of unpaid salaries, while Hartford's WTIC gambles (pun fully intended) on ex-rock jock Sebastian as a replacement for Jim Vicevich, who soon returns to the air as Sebastian becomes entangled in legal troubles. And in Boston, the bad blood between Howie Carr and WRKO once again bubbles up as Carr gets suspended for grousing a little too much about station management. A veteran station manager in upstate New York retires: John Krauss was the first voice ever heard on WRVO (89.9 Oswego) when it signed on in 1969, and he'd been there ever since. More format changes: WLLF (96.7 Mercer PA) flips to ESPN from smooth jazz; WNAK (730 Nanticoke PA) becomes WZMF, part of the "WGMF" AC network with 1460 in Tunkhannock and a slew of FM relays; WMHX (106.7 Hershey PA) rebrands from "Mix" to "Channel 106.7"; WKOE (106.7 North Cape May) flips from country to oldies as "Fun 106.7" WFNE; WHXR (106.7 North Windham/Portland ME) drops its "Bone" simulcast and begins stunting, pending sale and a July 7 relaunch as Catholic radio, WXTP "The Presence." New to the air: CJOT (99.7 Ottawa) begins testing ahead of a May 27 launch as "EZ Rock." 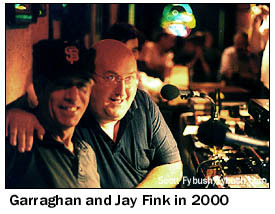 More job cuts claim the gigs of longtime WPDH Poughkeepsie morning man John Tobin, WYJB Albany morning man Ric Mitchell (who's soon back on the air at Saratoga's WQAR), WBOQ Gloucester midday veteran Jackie Ankeles and much of the airstaff at Toronto's "Proud FM," CIRR (103.9). Albany talker Dan Lynch retires from WGDJ (1300) of his own volition, while a family move sends Clear Channel Rochester market manager Karen Carey out of town, to be replaced by market veteran Kevin LeGrett, late with Citadel in Buffalo and Syracuse. On the noncommercial dial, WBUR launches a daily version of its "Radio Boston" magazine show to fend off new competition from WGBH, while Hamptons Community Radio shakes up the East End of Long Island by taking over WPKM (88.7 Montauk). In northeast Pennsylvania, Family Life swaps calls between WFUZ (91.3 Tunkhannock) and unbuilt WCIN (90.9 Laporte); the Laporte CP would then quickly trade in WFUZ for WCIS, freeing up the WFUZ calls for new use in the market. And up north, CHNO (103.9 Sudbury) dumps "Big Daddy" adult hits for "Rewind" oldies. Back on the air: WNGS (Channel 67/RF 7) in Springville-Buffalo and WNYI (Channel 52/RF 20), launching DTV signals just in the nick of time to beat the one-year deadline after their analog signals left the air at transition time in 2009. New to the air: Family Life's WCIJ (88.9 Unadilla NY); public radio WITH (90.1 Ithaca NY); WTUX (101.1 Gouldsboro ME), simulcasting WTOS (105.1 Skowhegan); test broadcasts from Toronto's "CARN," aimed at determining if a new Caribbean signal can squeeze onto the dial at 98.7. JUNE: Modern rock listeners in Philadelphia once again wonder "Y?" as public station WXPN (88.5) pulls the plug on its "Y-Rock on XPN," the program service it launched with former staffers of the much-missed WPLY (100.3, now urban WPHI). Connecticut TV viewers wonder "why?" as Tribune replaces WTXX (Channel 20) with WCCT-TV, branding the CW outlet as "The CT," complete with an odd cartoon mascot evidently escaped from the 1970s PBS logo. On the coast, a tornado slams the Bridgeport studios of WICC/WEBE, damaging the roof and knocking the stations off the air. Rochester's Bob Lonsberry loses his "other" talk gig, at Clear Channel's KNRS in Salt Lake City, though he'll start a podcast aimed at Utah listeners later in the year; in Albany, WGY's Don Weeks announces he'll retire at year's end, while his former WGY colleague Al Roney moves over to WGDJ (1300) to replace Dan Lynch. More format and call changes: WXAL (93.7 Addison/Burlington VT) to WIFY, WLMI (103.9 Kane PA) to classic rock WUMT, "The Summit." New to the air: CIDG Ottawa ("101.9 the Dawg") on June 7, Catholic WHVM 91.9 Owego NY on June 11. Gone: Canada's experiment with L-band digital audio broadcasting (DAB), as the CBC begins asking the CRTC to revoke its licenses. JULY: It's a good month for country music in Hamilton, Ontario, where CHAM (820) goes back to the format July 22 after a brief flirtation with talk, and where nearby CKPC (1380 Brantford) ditches oldies for "News Country," too. In New York City, two broadcasters launch country webcasts - "The Elephant" from local WOR and "GoCountryNY.com" from Los Angeles' Saul Levine - while WVIP (93.5 New Rochelle) signs on from its new transmitter site in the Bronx. 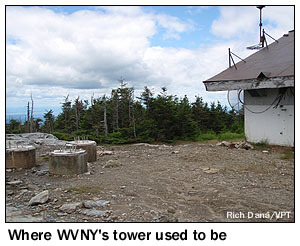 Some big changes in Vermont: a tower crew removes the WVNY-TV tower atop Mount Mansfield, the state's highest point; in Randolph, WCVR (102.1) becomes VPR Classical's newest outlet, WVXR, while the WCVR calls move to former AM sister WTSJ (1320); Russ Kinsley and Diane Desmond's eclectic "Album Station" returns to the air via WZXP (97.9 Au Sable Forks NY); WNMR (107.1 Dannemora NY) returns with sports as "107.1 the Game." On the Jersey shore, the Independence Day weekend begins with a bang from Atlantic Broadcasting, which flips modern rock WJSE (102.7) to rhythmic top-40 as "Wild 102.7," WWAC. In upstate New York, there's a second "B95.5" courtesy of Ken Roser, who relaunches WUTQ (1550 Utica) and its AM sister stations with a new FM translator in Utica. North of the border, CFAV (1570 Laval QC) becomes CJLV, while the CRTC orders CHSC (1220 St. Catharines ON) off the air. New to the air: CJOS Owen Sound ON (92.3 the Dock), testing July 12 and officially at 8 AM July 26; CJHK "Hank 100.7" Bridgewater NS; CKIN 106.3 Montreal (testing). Gone: CFAO 94.7 Alliston ON, victim of unpaid bills for studio rent and other services. AUGUST: Black gospel yields to standards ("Swing 1270") at WHLD Niagara Falls/Buffalo after a leased-time tenant moves on; AC yields to oldies in Kingston, Ontario as CFFX (104.3) becomes CKWS-FM at 6 PM August 19; business talk yields to ESPN Deportes Spanish-language sports at WWDB (860 Philadelphia); the venerable Marblehead tower of WESX (1230 Salem) yields to development pressure and comes down, the station itself having moved away earlier. On the personnel side, D.L. Hughley departs the morning grind at New York's WRKS (98.7 Kiss FM) to focus on making movies; Karen Adams announces her retirement from WPRI-TV in Providence after more than two decades at the anchor desk; and two Portland morning men are out: Tim Wright after a decade and a half at WMGX and Bill Fox after a somewhat shorter run at WFNK, "Frank-FM." Elvis Duran's relentless march across the top-40 radio landscape finds his New York-based morning show coming to Connecticut's WKCI, joining other new affiliates in Syracuse (WWHT) and on the New Hampshire seacoast (WSKX). New to the air: WUMG (91.7 Stow), the latest link in the WUMB-FM network, on Aug. 10; CBIT (97.1 Sydney NS), testing a new CBC Radio One FM service on Cape Breton Island, though the tests demonstrated a continued need - at least for now - for the bigger AM signal of CBI (1140), which remains on the air. Gone for good: CJUL 1220 Cornwall ON, abruptly silenced by Corus August 18 to concentrate resources on its two Cornwall FMs; WOYL 1340 Oil City PA, surrendering its license after equipment failure; WBGD 91.9 Brick NJ, surrendering its license after the local high school doesn't budget for a new antenna following roof replacement at the school. SEPTEMBER: Press hits the "reset" button on the Jersey Shore Sept. 15, restoring top-40 "B98.5" and the WBBO calls to WKMK (98.5 Ocean Acres) and moving "Thunder Country" to what had been "Hits 106," WHTG-FM (106.3 Eatontown, now WKMK) and WBBO (106.5 Bass River Township, now WTHJ); competitor Millennium flips WADB (1310 Asbury Park) to oldies, simulcasting with WOBM (1160). It's a busy month in Pennsylvania, too, where Shamrock kills off oldies "Cool" on Sept. 16, flipping WQFM (92.1 Nanticoke) to modern rock "FM 92.1" WFUZ. Former WQFM simulcast WQFN (100.1 Forest City) takes the WQFM calls and begins simulcasting ESPN Radio outlet WEJL (630 Scranton). Near State College, WPHB (1260 Phillipsburg) puts veteran morning man Sheldon Sharpless back on the air, three months after taking him off. Pittsburgh's WDUQ moves to new digs on the Duquesne University campus as the wrecking ball looms over its longtime home. On the Maryland line, WCHA (800 Chambersburg) begins simulcasting True Oldies Channel oldies with WHAG (1410 Halfway MD); to the west, college station WCYJ in Waynesburg moves from 88.7 to 99.5; north of Pittsburgh, talk "Liberty 910" replaces gospel at WAVL in Apollo; and way up north near Erie, WWCB (1370 Corry) goes oldies as WHYP. In the Boston market, it's the end of the business talk format at WBIX (1060 Natick), which goes silent Sept. 15 to prepare for its move to a new daytime transmitter site and new Catholic ownership. Up in Burlington, Vox drops "DOT-FM" oldies on WXZO (96.7 Willsboro NY) in favor of top-40 "Planet 96.7." Albany gets an FM talker on September 20, when Clear Channel unplugs modern rock "Channel 103.1" WHRL, letting its one-person staff go as it flips the frequency to WGY-FM. In Binghamton, Clear Channel's classic rock "Fox" WBBI (107.5 Endwell) segues to classic hits as "Big 107.5," and in Glens Falls, WENU (1410) slides from oldies to classic country. Back on the air: the former WGAJ (91.7 Deerfield), with a new antenna, a new tower, new calls (WNNZ-FM) and new ownership, the WFCR Foundation, which flips the station to NPR news and talk as it just barely beats the one-year deadline to return the signal to the airwaves Sept. 9. Gone for good: Dartmouth's WDCR (1340 Hanover), deleted after several years of only intermittent operation; CHSC (1220 St. Catharines), finally gone Sept. 30 after a month of unsuccessful appeals of its license revocation. OCTOBER: Rogers brings a new AM all-newser to life in Ottawa October 18, trading in oldies on CIWW (1310) for "1310News." Along Long Island Sound, Citadel rearranges its station lineup, moving calls and format from talker WXLM (104.7 Montauk NY) to the formerly-Spanish WSUB (980 Groton CT) and later relaunching 104.7 as hot AC WELJ, a partial simulcast of New York City's WPLJ 95.5. Long Island's WMJC (94.3 Smithtown) changes calls to WIGX, a preview of its Nov. 5 format flip to 90s-pop "Gen X Radio." In the big city, talker Joe Crummey (known as "E.J. Crummey" on WNBC and WAPP in the '80s) comes home from Phoenix to take over mid-mornings on WABC (770). In Bangor, Stephen King flips WZON (620) from sports to talk, simulcasting WZON-FM 103.1. In Scranton, Citadel dumps the local airstaff at country WSJR (93.7), flipping the station to a satellite feed, while in Pittsburgh, morning man Jim Merkel and co-host Theresa Colaizzi are out at "3WS" (WWSW 94.5). In the Hudson Valley, a call change turns WGNY-FM (103.1 Newburgh) into WJGK, freeing up the WGNY-FM calls for a new home at a new sister station on 98.9 in Rosendale; in the Mohawk Valley, Leatherstocking Media takes over operation of WUTI (1150 Utica), installing its "CNY Talk Radio" simulcast on the station. Towers are in the news this month: in Montreal, where the former CBC AM towers in Brossard are demolished; in Peterborough, where the former CKRU 980 site is razed; and in Utica, where a tower crew's goof topples an antenna being removed from the tower behind the WKTV studios, disrupting the TV station's programming as the building is evacuated. Gone for good: CFGT (1270 Alma QC), October 16. NOVEMBER: Michael Smerconish shakes up the Philadelphia talk landscape with his planned move from mornings to afternoons at WPHT (1210), creating a morning-drive opening to be filled by Kansas City's Chris Stigall and shuffling the "Big Talker"'s lineup to pull Glenn Beck and Sean Hannity off the Philly airwaves. In another Philly shuffle, veteran WXTU (92.5) middayer Leigh Richards is out, and in yet another Philly shift, WISX (106.1) segues from "My 106.1" to "Mix." Also out are staffers at Cox's Stamford/Norwalk cluster, where WCTZ (96.7 the Coast) is headed to EMF's "K-Love" network and WFOX (95.9) to consolidation with Cox's WPLR/WEZN facility up the coast. Down the coast in New York City, Clear Channel cuts much of the airstaff at "Power 105" WWPR, including morning man Ed Lover. In Boston, Ed Walsh retires from mornings at WBZ after just a few years on the shift, while WBUR GM Paul La Camera eases into his second retirement, though he'll remain with the station in an advisory capacity for a while, assisting incoming GM Charlie Kravets, late of NECN. Also gone from the Boston airwaves are WTKK evening host Michele McPhee and the talk format on WNSH (1570 Beverly), which begins simulcasting Spanish from WNNW (800 Lawrence) en route to a sale to WNNW owner Costa-Eagle in 2011. Up the coast, WMYF (1380 Portsmouth NH) flips from standards to ESPN sports. Cadillac Jack moves from Boston back to New York City to take on more management duties at Clear Channel's WWPR (Power 105) there; upstate, Citadel brings "Slick Tom" Tiberi back to nights at "97 Rock" WGRF, two years after cutting his job. In Utica, the demise of the "God's Country" network sends WOKR (93.5 Remsen) back to Air1, and in Binghamton, WRRQ (106.7) moves to a much better transmitter site on Ingraham Hill. In Pennsylvania, KDKA turns 90, then moves out of its longtime home at Gateway Center to join its CBS Radio sisters in suburban Green Tree. Elsewhere in the state, WSNU (92.1 Lock Haven) changes calls to WSQV, while WWBE (98.3 Mifflinburg) and its sister stations reimage as "B98.3" and Family Life Network begins LMA'ing WHPA (93.5) in the Altoona market. Back on the air: WQOM (1060 Natick), signing on with Catholic programming November 1; WA2XMN (42.8 mc), the Major Armstrong memorial station at Alpine, N.J., returning to the air for the day Nov. 6 as part of a year-long celebration of the 75th anniversary of the inventor's first public demonstration of FM radio. Gone: WRMO (93.7 Millbridge ME), at least for now. New: WOPG 89.9 Esperance NY, with Catholic programming; CKBG 107.3 Middle Musquodoboit NS; CBEW 97.5 Windsor ON, eventually to replace CBE 1550; WWLN 90.5 Lincoln ME, simulcasting WMDR-FM 88.9 Oakland with a different "God's Country" from the network that went defunct on EMF's stations. DECEMBER: Another year draws to a close with too many layoffs, including news staffing cuts at Buffalo's struggling WKBW-TV, morning shows out at WBWZ (Star 93.3) in the Hudson Valley and WBLI on Long Island, and a contract dispute that leads "Goumba Johnny" Sialiano to depart New York's WKTU rather than renew at much lower pay. In Boston, veteran sports talker Eddie Andelman announces he's hanging up his headphones after 40 years on the air, most recently at WTKK (96.9); in Pittsburgh, WPXI (Channel 11) sports director John Fedko retires from the daily grind, though not his Friday high school sports show - and in Albany, veteran WGY morning man Don Weeks, who'd already announced he was retiring at year's end, moves up his finale as health issues make it impossible for him to continue any longer on the air. Lori Sergiacomi, known on-air as Tanya Cruise, is off the air and eventually out of a job at WWLI (105.1 Providence) after being indicted in connection with an alleged insurance-fraud conspiracy. Peconic Public Broadcasting celebrates the end of a challenging year by pulling together the funding that it needs to buy WLIU (88.3 Southampton) from Long Island University; upstate in Utica, EMF flips formats and calls, sending "K-Love" and WKVU from 100.7 to the huge 107.3 signal formerly home to "Air1" WRCK. And the year ends with a few more format changes, most notably in Syracuse, where Clear Channel shifts urban "Power" from WPHR (106.9) to the AM dial, killing off sports on WHEN to launch "Power 620" and clearing the FM frequency to become a simulcast of news-talk WSYR (570). In Vermont, ESPN heads to FM on New Year's Day to replace classic rock "Champ" on WCPV (101.3 Essex), which will mean Fox Sports replacing ESPN at WCAT (1390 Burlington). Other post-Christmas format moves include a return to older soft AC at WPLM-FM ("Easy 99.1") south of Boston. New to the air: WKNZ 88.7 Harrington, Delaware, serving extreme southern New Jersey; WZBL 88.1 Barnegat Light NJ, on Dec. 15, simulcasting WVBV 90.5 Medford Lakes. Gone: the top of the WXXI-TV tower on Rochester's Pinnacle Hill, removed now that the old analog TV antennas mounted there are no longer needed. Last year in this space, we yielded the floor to our friend Dennis Jackson, who opined, "For the most part, corporate radio is a hollow, bloodless shell replacing a medium that listeners once cared deeply about," offering the hope that "perhaps 2010 will be the year when real broadcasters are let back into their stations and we can begin to turn our medium around before its too late." It's probably fair to say that 2010 didn't fully live up to Dennis' high hopes, but it may well be that one day we'll be able to look back at this otherwise largely forgettable year and see at least the beginnings of a turnaround. What's more, at least some of those 2010 sales took stations that had been caught up in the credit-fueled frenzy and put them back in the hands of experienced broadcasters. In Scranton, for instance, the former Route 81/WS2K stations landed with local groups Bold Gold and GEOS, and that has to be good news in the long run for those more interested in making good radio than in making maximum return for venture capitalists. There were fewer mass layoffs. Even at troubled groups like Citadel, Granite and Regent (which went into bankruptcy and emerged under the new name Townsquare), the panicked mass job cuts that were such a regular and painful part of the business in 2008 and 2009 were largely absent in 2010. Even allowing for the unfortunate reality that there simply weren't as many remaining jobs to cut, it strongly suggested that the industry had finally pared back about as far as it could - and there were even occasional signs, such as Citadel's rehiring of popular Buffalo jock "Slick Tom," to suggest that there could be some job growth in the offing in the years to come. Some struggling stations didn't remain on life support. It's never fun to see a radio station go dark, of course, but it's also hard to argue that the explosion of new radio signals over the last few decades has been an unquestionably good thing for the business. So the demise of at least a few signals that had barely been competitive - from WZUM in Pittsburgh to WHHO in Hornell to CJUL in Cornwall - may end up making the rest of the herd that much stronger. Much the same can be said about the conversion of other marginal players - WBIX outside Boston, WHXR near Portland, and soon-to-be-New York City rimshot WCTZ - to noncommercial religious operation. Streaming audio didn't get any cheaper. The experts have been telling us for years that the "infinite dial" offered by streaming audio, when coupled with ubiquitous wireless net access, will make the limited choices offered by conventional radio obsolete. In the long run, they may yet be right - but in 2010, there were still plenty of obstacles in the way. For end users, heavy consumption of streaming radio or newer services like Pandora may get more expensive: Verizon Wireless' move to join AT&T in charging for wireless data usage above a (fairly small) usage cap promises to make "Internet Overcharging" (as my neighbor Phillip Dampier calls it over at StopTheCap.com) the new standard in the wireless arena, and Internet radios were still a relatively niche product for home use, at least when compared to the enormous installed base of conventional AM/FM receivers. And at the content-provider end of things, the music industry continued to make it comparatively expensive for radio stations to stream their product, especially as long as traditional broadcast radio continued to enjoy an exemption from performance royalties, as it did throughout the year in the absence of congressional action. Radio, in short, didn't die. For all the predictions of its imminent doom, broadcast radio ended 2010 in a better position than a lot of other corners of the "old media" landscape. Unlike local TV, embroiled in never-ending battles with the cable and satellite systems that delivered its product to most consumers and under pressure to surrender more of its broadcast spectrum, radio continued to control its own distribution destiny. Unlike local newspapers, radio's piece of the ad-revenue pie remained fairly stable and relatively insulated from new-media competition. A Pandora or a Rhapsody might have the potential to siphon some listening hours away from local radio, but not to usurp radio sales in the same way that Craigslist and Patch and Groupon have vacuumed up local advertising that was once the sole province of newspapers. And unlike the music industry, radio has shown it can change when it must. I've written extensively in past Rants about radio's ability to reinvent itself in the past when new technology threatened to usurp its previous strengths. In 2010, radio continued to demonstrate that in the right hands, under the right circumstances, it could still connect with listeners with a passion, speed and efficiency that few other media, new or old, can match. This Rant is being written on the night of the massive blizzard that's shutting down much of the east coast, an event for which the 1010 WINSes and KYWs and WBZs of the world remain incomparable in their ability to reach a massive audience with urgent information instantaneously. If there's still a role for that kind of mass medium - the role, if you will, of creating one big community out of the increasingly splintered world fostered by today's social media - radio is ideally poised to be there. To do that and to do it well, one more thing has to happen in 2011 and beyond that didn't happen in 2010: radio (and local TV, too) must become far more willing to innovate and experiment. That's unlikely to happen in the bigger markets, where corporate owners remain constrained by debt service and the pressure of playing to the perceived demands of PPM-based ratings. But in those smaller markets, there's once again some hope for innovation. As the consolidators and the investment bankers move on in search of more lucrative fields, at least part of Dennis Jackson's wish from a year ago is coming true. The broadcasters are being let back into their stations, and the future of their medium will depend in large part on what they do with them now. Radio's last great rebirths - especially the top-40 revolution of the 1950s - came at times, like this one, when the medium was all but given up for dead, and they came not from the big station groups or major markets of the era, but rather from new players at second-tier signals in smaller markets, where the stakes were low and the room for experimentation was vast. For at least some owners and some stations, the stakes are once again low - but the incentive to continue with business as usual remains high. It's easy to plug music and liners in to automation, or to hook up the satellite receiver to pull in national talk hosts and sports networks, and it might even be lucrative for a little while longer. But those generic forms of radio are the past, not the future, and broadcasting must make a concerted effort to open the doors much wider, experimenting much more aggressively with new ideas and new voices, if it's going to do more than merely maintain the status quo. "When you got nothing," as Mr. Dylan famously sang, "you got nothing to lose" - and it's in that spirit that we head for 2011, eager as always to see what might be coming next, and to keep sharing it with all of you in our seventeenth year of NERW. And as we do every year, we close out our Year in Review by remembering the many great radio and TV people our region lost in 2010.